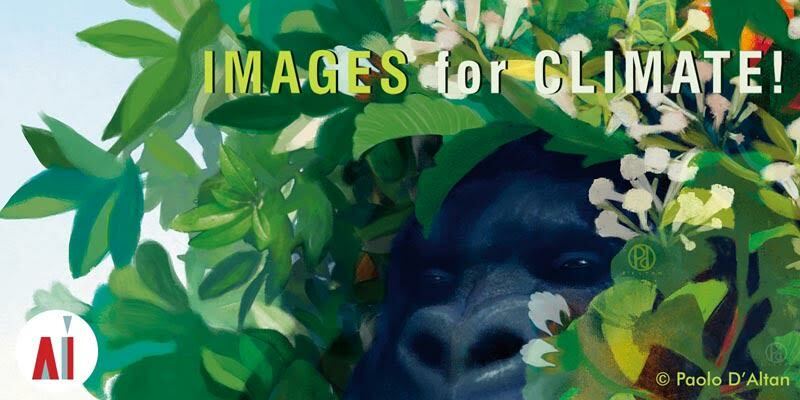 New deadline: IMAGES for CLIMATE! On Sunday, November 29, in many cities around the world has taken place the ‘Global Climate March’, an action with more than 700,000 participants to put pressure on all the leaders whom are now meeting in Paris to draft the most important climate treaty in history . We illustrators, in our small way regularly use our creativity to give colour to the world; this time let’s get together to try and change it. The idea is to collect many images on the subject of climate. So far we have received more than 250 images from almost 200 authors. We are publishing them all in an album on AI’s Facebook page. Every day, one of them is selected to become the Facebook page banner. At the same time we’re diffusely promoting this initiative among the Italian media and try to involve other organizations in Italy and elsewhere. Images can be sent until December 11, the final day of the Conference on Climate in Paris. In case of further initiatives related to this one, all participants will be contacted and, if necessary, will be asked to grant the permission to reuse their images. Click HERE to go to the gallery.